"What's Next?" After disposing her husband's body, Hannah and Dexter discuss next steps. 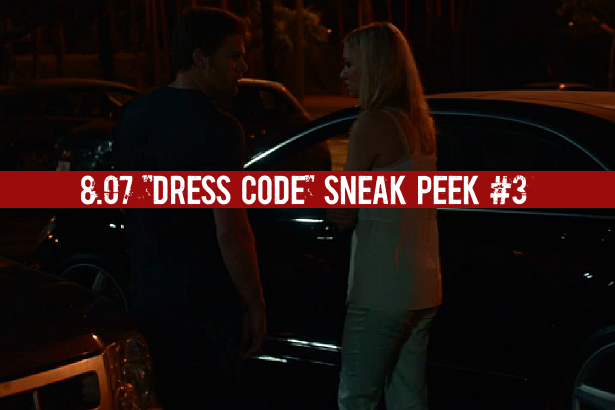 Watch below the third sneak peek clip from last night's episode of Dexter, 8.07 "Dress Code".